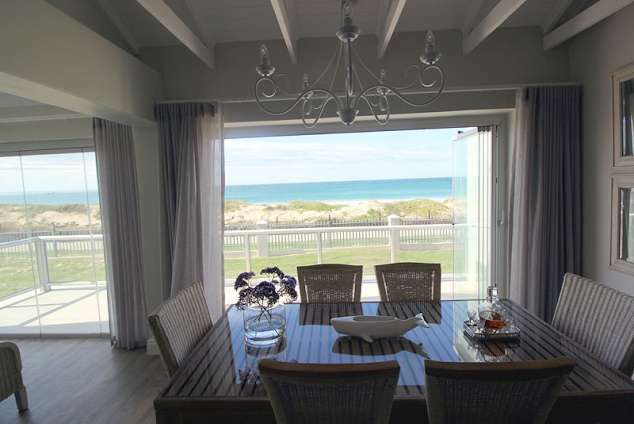 ON THE BEACH Summerseas 42 - Summerstrand Accommodation. Beachfront apartment with 3 bedrooms and 2 bathrooms. Direct access to Pollock Beach perfect for swimming or surfing - no need to drive or cross busy streets. 1 queen and 2 double beds with white Hotel Collection quality bedding. Master bedroom has ensuite with shared bathroom between the other 2 bedrooms. Kitchen fitted with dishwasher, stove, hob, microwave, washing machine and Nespresso coffee machine. Well equiped with everything to make a comfortable stay like a home away from home. Secure apartment block with 24 hour guarded security. 2 basement parkings. Laundry service and communal pool. Walking distance from great restaurants and all ammenities. 3669 page views since 14 Feb, 2017.